To be a musician is to be a traveller. In Baroque Europe, players traversed countries, languages and styles, in search of beauty, employment, enlightenment and those rare musical connections precious enough to build a life around. 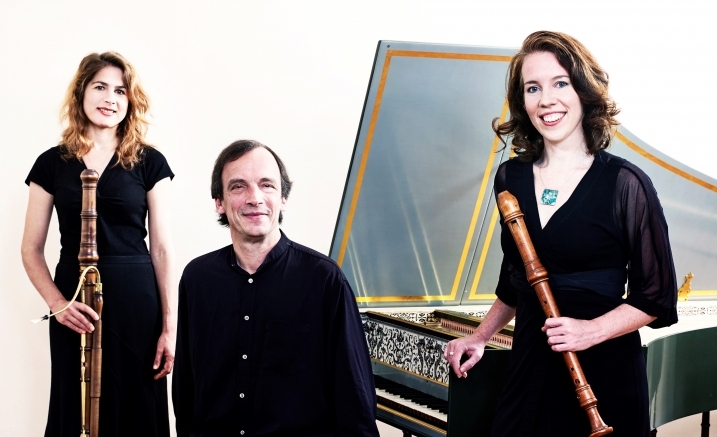 In 2005, a series of chance encounters led recorder player Genevieve Lacey, bassoonist Jane Gower and harpsichordist Lars Ulrik Mortensen to play first as an ensemble. Ever since, they have been crisscrossing hemispheres to perform together whenever possible. Their stories mirror the tales of the composers whose music they play. They trace the cosmopolitan lives of musicians at home in the world and celebrate the musical internationalism of eighteenth-century Europe.